Photo of: East Coast of Ireland: Meath: Dowth. 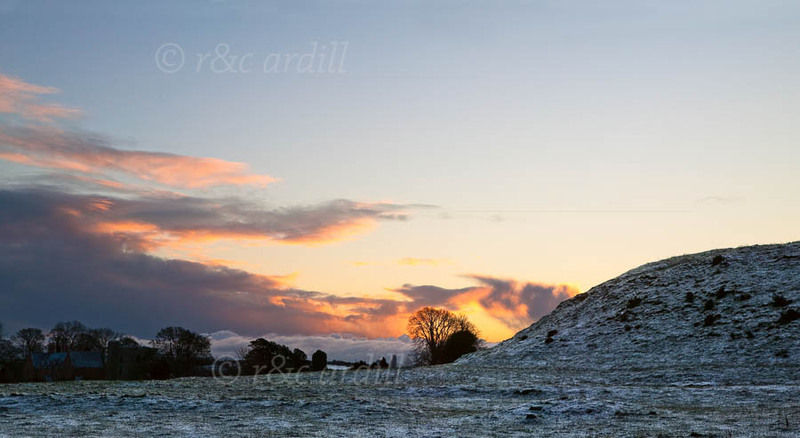 A side view of the Dowth Megalithic passage tomb on a winter's morning at sunrise. Dowth is one of the many passage tombs in the Boyne Valley, with Newgrange being the most important with Knowth and Dowth coming next in importance.